The last career Yu-Cheng Yao ever thought he’d have growing up was that of an educator. As a student growing up in Taiwan he shared, “I was not a rule follower when it came to the process of my work, so I always got into trouble, not because the work was bad, but because it was different and within that culture that was considered bad so I was considered a bad kid.” Yu-Cheng, who is now in his fourth year teaching science and math to 6, 7 and 8th graders at Dora Moore, used to think every teacher disliked him because he was such a non-traditional student. A former sous chef and instructor with Outward Bound, Yu-Cheng is now in his seventh year in the classroom. Along with his teaching duties, he is also one of two team specialists at Dora Moore focusing on math, science and literacy. A team specialist is a role within Teacher Leadership & Collaboration which complements a senior team lead by working with a subset of teachers aligned by grade level, content area or other relevant groupings. At Dora Moore, Yu-Cheng works with a team of four teachers facilitating activities such as data team meetings, aiding in the student learning objective process and devising ways to align content in different subject areas. 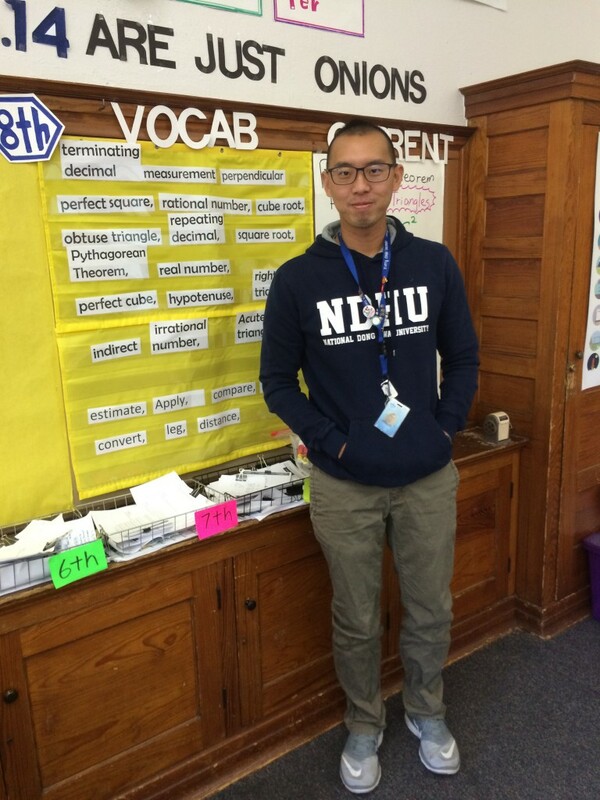 Yu-Cheng’s experience as a team specialist has shaped him as a teacher and leader beyond the technical components of the job. He noted that being a team specialist has helped him come out of his shell and build bridges across – different cultures he encounters. In his first years at Dora Moore, he admitted to being very quiet and hesitant to take on an active leadership role due to his worries around language and cultural misunderstandings. However as a team specialist, he has been able to work with a team of teachers in a variety of ways, offering support and strategizing about how to tackle both instructional and behavioral challenges; the professional relationships he has formed surpass differences in language, nationality and background. Given Yu-Cheng’s love of collaboration, creativity and teaching fundamentals in new and exciting ways, it’s not surprising that his dream class would be Culinary Science and Math. “There would be no tables or chairs- just a commercial kitchen with supplies and students would learn math and science while they cooked…so – if we are learning ratios, we make lemonade and they have to figure out for themselves and it would be a lesson they never forget.” One thing is for certain, because of his innovative approach to learning and collaborating with others, neither his students nor his colleagues are likely to forget Yu-Cheng Yao anytime soon.